For the 24 hours to 23:00 GMT, Gold slightly rose against the USD and closed at USD1290.90 per ounce. 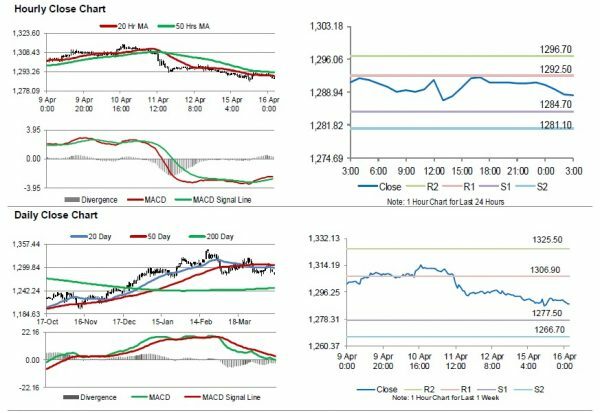 In the Asian session, at GMT0300, the pair is trading at 1288.30, with gold trading 0.20% lower against the USD from yesterday’s close. 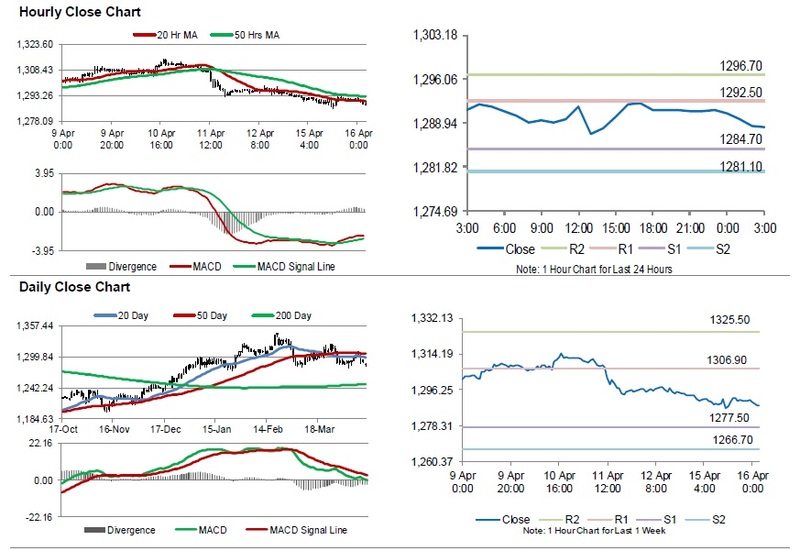 The pair is expected to find support at 1284.70, and a fall through could take it to the next support level of 1281.10. The pair is expected to find its first resistance at 1292.50, and a rise through could take it to the next resistance level of 1296.70.